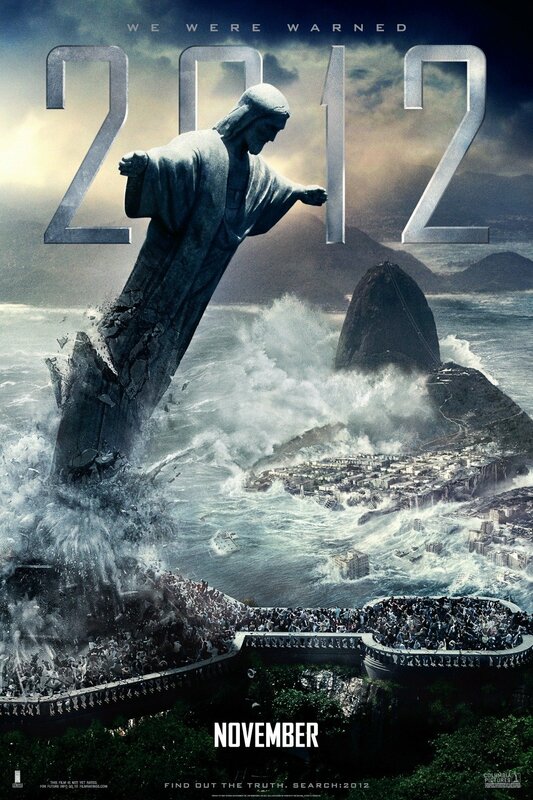 I’m a sucker for an over-the-top, blockbuster disaster movie. The mega budget versions of this film genre seemed to initiate in popularity in the 70’s with films like AIRPORT (1970), THE POSEIDON ADVENTURE (1972), THE TOWERING INFERNO (1974), and EARTHQUAKE (1974). Then they kicked off again in the 90s and transitioned into the 21st century with films like TWISTER (1996), INDEPENDENCE DAY (1996), THE DAY AFTER TOMORROW (2004) and 2012 (2009). Quick to follow there were parodies [like AIRPLANE! (1980)] and campy B flicks [like the recent super cheesy “Sharknado” TV movies] that found equal popularity, too. Oh sure, these films are easy targets for film scholars and critics. And yeah, the more recent crops in this field certainly have more adrenaline-infused CGI on the screen than articulate dialogue, by a landslide. But like my favorite Hostess cupcake with a cold glass of milk, sometimes you just crave a guilty pleasure of sugary junk food. Which brings me to Brad Peyton’s SAN ANDREAS (2015). 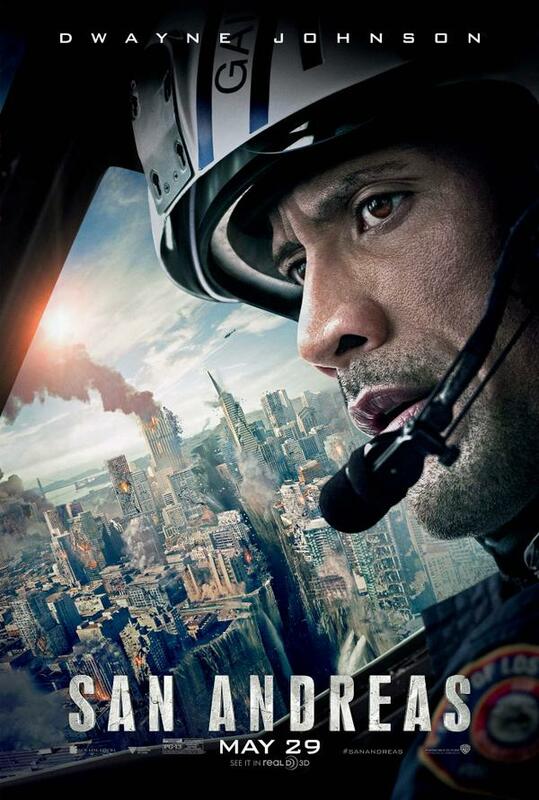 Bigger-than-life Dwayne Johnson portrays Ray, a super-dad and rescue expert/helicopter pilot who is facing the emotional battles of his family being torn apart by the scars of the tragic death of their youngest daughter. From the very first scene, we see that rescue operations of staggering magnitude are a relatively stress-free, piece of cake for Johnson compared to his unresolved issues at home. These issues have created an emotional divide between Ray and his estranged wife Emma (Carla Gugino) who plans to divorce him and move in, along with their twenty year-old daughter Blake (Alexandra Daddario), with wealthy boyfriend Daniel (Ioan Gruffudd). They say a person’s true character is revealed in moments of crisis. In Daniel’s case, we later see his in vivid detail. It doesn’t take long for earthquake expert Lawrence (Paul Giamatti) and his team to discover up-close that their breakthrough technologies of predicting earthquakes are soon realized- in previously unknown fault areas in Nevada, then again even closer to home (yup, along the San Andreas fault line). Of course Ray is pulled into the rescue action as multiple cities are horrifically devastated. But interestingly, while these heavily populated cities are being demolished by record-breaking quakes, tremors and tsunamis, most of Johnson’s sole focus is rescuing his family. His expertise and leadership help others along he and Emma journey to connect with their daughter, but ultimately his only goal is protecting them. Smart thinking on his part because he succeeds in ways much more than life-saving rescues, he finds a therapeutic closure to conquer his haunting demons. Ray and Emma have some major issues to resolve. And it takes an earth-shattering crisis to break down these walls. In Roland Emmerich’s 2012 the premise is a main character (John Cusack) who is recently divorced from his wife (Amanda Peet) who moved on to another more emotionally available and stable man of means. In both films, the main male figure is struggling in some way which creates a wall in the marriage, but wants to reunite with his ex/or estranged wife and is a good father who in the end is willing to battle any obstacle to save his family. 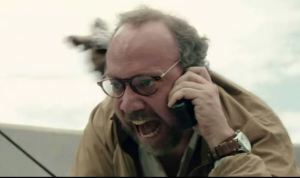 There is also a parallel in a significant character that is a scientist/expert in his field who plays a pivotal role in the discovery of the crisis and assists in communicating the stats of the play-by-play details= Paul Giamatti’s Lawrence in SAN ANDREAS vs. Chiwetel Ejiofor’s Adrian Helmsley in 2012. 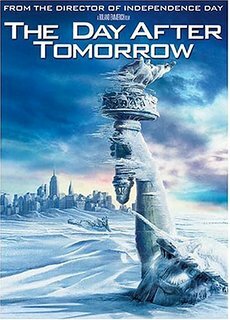 In Roland Emmerich’s The Day After Tomorrow… again the male figure has become emotionally unavailable which has created a division in the marriage. This time, the kid is older (son played by Jake Gyllenhaal) so the romantic focus shifts more to the son and his love interest, as they experience surviving the disaster together. There’s a similar love interest parallel in SAN ANDREAS between Blake and a nice Brit chap Ben (Australian Hugo Johnstone-Burt). But it’s still the dad (played by Dennis Quaid) who battles to save his family, against all odds. This time the scientist/expert in his field is the main male figure himself (Quaid). 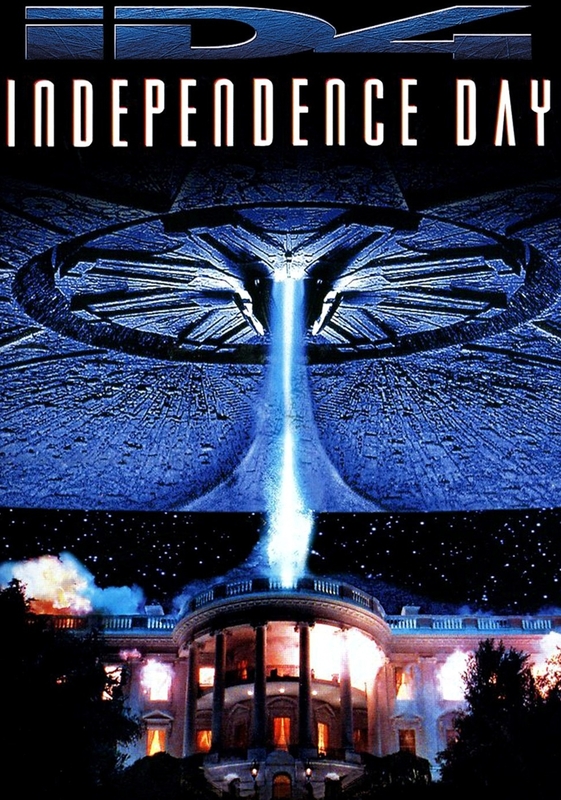 In Roland Emmerich’s Independence Day… this formula is slightly tweaked with a ‘double date’ approach. Fighter pilot Will Smith’s Capt. Hiller (parallelism in job description as Johnson’s Ray character) is sorta the male lead but so is Jeff Goldblum’s David. This time, David is the scientist/expert in his field and estranged from his wife but wishes and later succeeds in reuniting. No kids between the two but there is a family for Capt. Hiller, minus the ‘official commitment’ which is resolved eventually. Both Capt. Hiller and David save the day in the end. 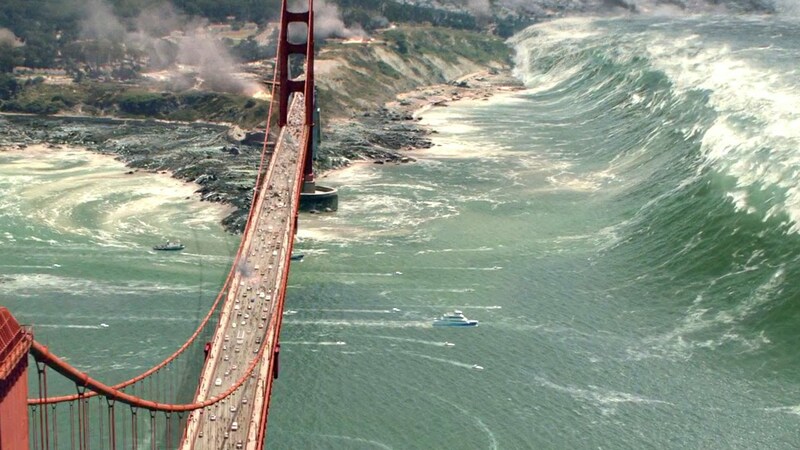 No surprise that SAN ANDREAS sought out formula parallels that worked well in Emmerich’s mega hits. But unlike unsuccessful disaster films that only aim to highlight the roller coaster ride of destruction, SAN ANDREAS took it up a notch by positioning the disaster in the background (but the effects are spectacular) and placed first priority on the story of this family. 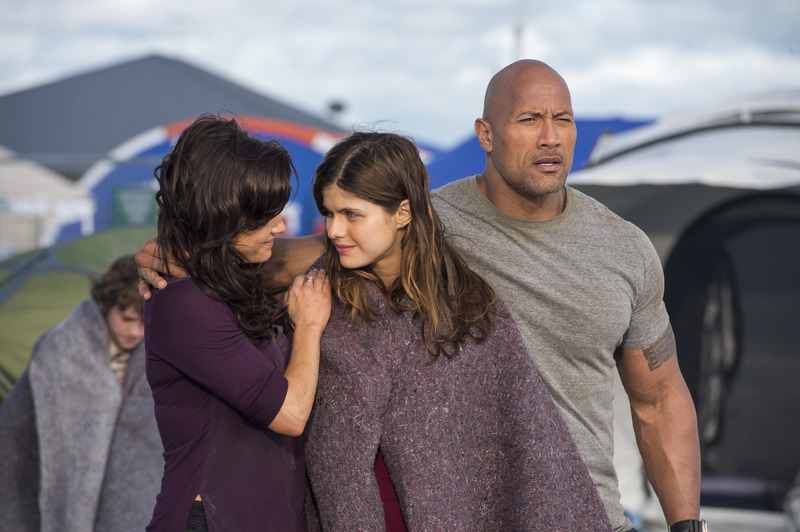 Specifically, we see performances of heart-felt emotion and gritty action from Alexandra Daddario and Dwayne Johnson. I got the impression they were attempting to make Daddario’s Blake as a more wholesome and grounded version of Megan Fox’s Mikaela character of TRANSFORMERS. Despite that comparison, and thanks to Daddario’s stronger acting skills, I think Daddario has a greater potential in her acting career. As for Johnson, he continues to prove he can handle more than a bulky shell of an action figure. This guy shows muscle in comedy and even some emotional range to boot. 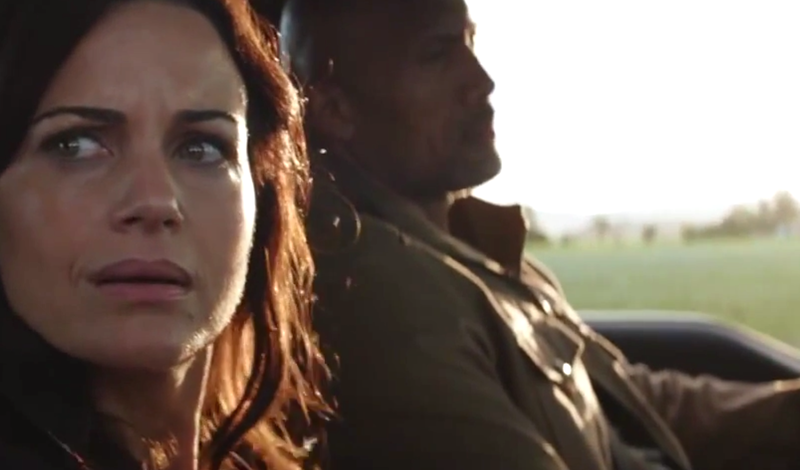 If SAN ANDREAS is my Hostess cupcake, “the Rock” Dwayne Johnson is the creme filling. If you love these the way I do, I KNOW you’ll really enjoy it. Have fun! !